In the midst of political and social upheaval, two countries put their differences aside to help a young girl reach safety and surgery in Australia. After months of meticulous planning, the medical evacuation of young Palestinian girl, Eman Tabaza, hung in the balance when the Cairo uprising occurred in February 2011. As one of a group of five Palestinian children coming to Australia for medical treatment, Eman was to travel from Gaza to Cairo for her flight with Emirates Airline, when the Rafa border crossing was closed because of security fears. 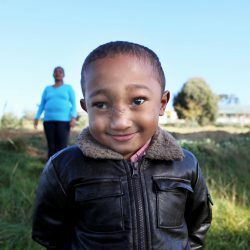 This was Eman’s second trip to Australia, having received the first of two life-changing operations to remove a bulging facial tumour in 2004. She and the other children were being escorted by Palestinian Australian, Phillip Sacca and Lebanese Australian Farah Mansour, both friends of the Foundation. With the clock ticking down to departure, the group was stranded and unable to leave Gaza. The next few days were a blur of frantic phone calls and emails as the pair sought to find an alternative safe route out of Gaza and across the Palestinian border. Children First CEO Margaret Smith vividly recalls the phone call that came at 2am one morning from Phillip. “Phillip was in Gaza in touch with the Australian Embassy in Tel Aviv, who was in turn in touch with the Israeli authorities, with everyone waiting to see what would happen. It was a very fluid situation,” she said. Meanwhile the Australian embassies in Tel Aviv and Amman were busily negotiating with the Israeli and Jordanian authorities to waive normal exit procedures and enable the children to exit Gaza via Erez and to Jordan via the Allenby Bridge, where they could then take a flight from the capital, Amman. With less than 24 hours before their early morning departure, Phillip was advised that the children would now require new travel documentation. There followed a flurry of emails, phone calls and nail biting, until miraculously, all was ready for the crossing the next day. “It was a pretty harrowing journey in small buses across the border managed by Hamas, on to the Palestinian Authority border, then the Israeli border – with the children having to get on and off each time. Phillip and Farah were then taken to Tel Aviv with the Australian Consul to get official documentation while the children went by bus direct to the Allenby Bridge to wait. Documentation eventually in hand there was a fast drive to the Allenby Bridge and although it had been officially closed for some time, the group was allowed to go through to be met by the Australian Consul to Jordan on the other side,” said Margaret. Once in Jordan, the group travelled to Amman where Foundation sponsor Emirates Airlines reassigned the group’s seats on a new flight, after already showing enormous patience in altering flights several times in the preceding days. Although it was a nerve-racking time for all involved, Margaret Smith has nothing but praise for the Australian Consul staff, the Israeli and Jordanian authorities, and gratitude to Emirates Airlines. “We are so grateful that, even amidst a conflict, two countries can put aside their differences and do what is best for the sake of children who need medical treatment. It just shows that, when we put children first, anything is possible,” she said. 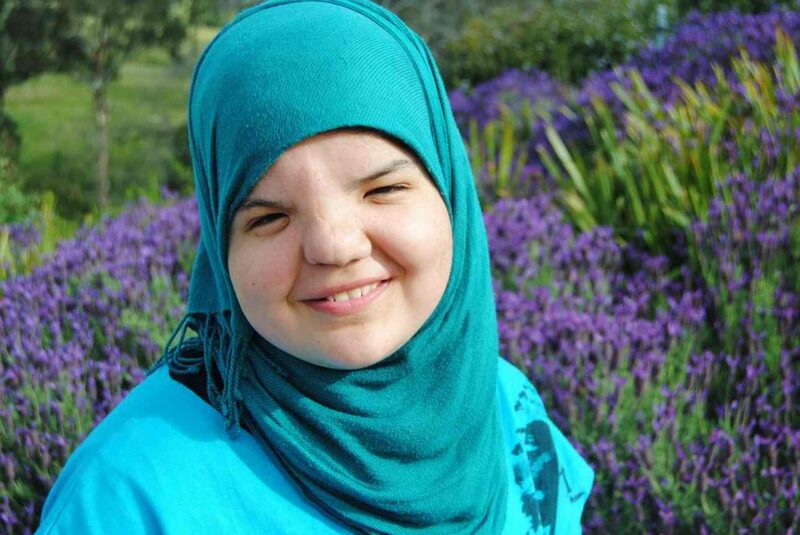 There was a further complication in Eman’s already challenging journey. She is still waiting to have her craniofacial surgery after her surgeon, Tony Holmes, discovered that she had a large nevus on her back and defects in her spinal cord that would require surgery. “In Eman’s case, we now have a more complete picture of her overall condition. She has recovered well from the operation on her back while at the Farm, which means we can now undertake the second stage operation to further refine her nose. When I saw Eman again, I almost didn’t recognise her, she’d grown so much. She’s a real sweetie and with this final surgery, there’s no reason why she can’t have a normal life,” said Tony. Eman is already thinking of her future and has some big plans. “I’d like to start a foundation to help children in China. I know I can do it if I work hard,” she says.